Back in August, we introduced you to the ‘Having a baby’ discovery project, an exciting new research project we’re running. The project seeks to better understand the maternity journey through the experiences of women and families who are having a baby and the professionals who support them, to identify opportunities for how we could improve their experience through better use of digital technology. We want to understand what would be most helpful to mothers and their partners during this life stage and to feed this into our future thinking. Last month, two guest bloggers working on the baby project, Alex Nisbett from Livework Studio and Leisa Reichelt from Government Digital Service (GDS) blogged about the benefits of user research, how the methodology differs from market and academic research and shared some of their top tips for running your own user research. Today, I wanted to share some of the insights and learnings from our research and provide a bit of an update on our progress so far. We started running the first phase of our research back in June/July. We contacted a number of individuals and organisations working in the maternity field and captured a wealth of insight and previous research which we could feed into the project. Our previous blogs about the project also generated a lot of interest from people eager to feed into the project or supply us with insight and research. 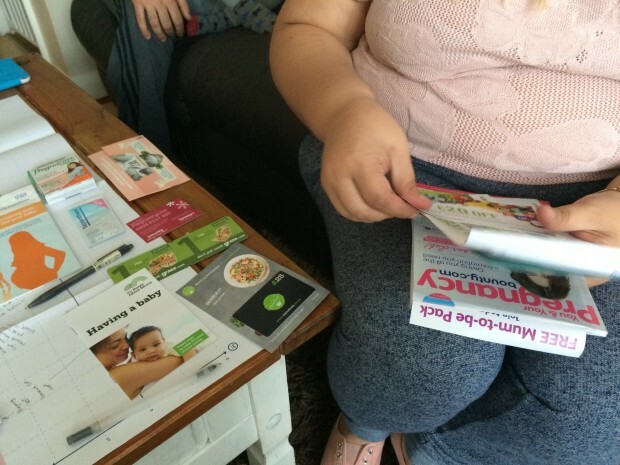 We also interviewed 12 families and 12 midwives and health visitors. 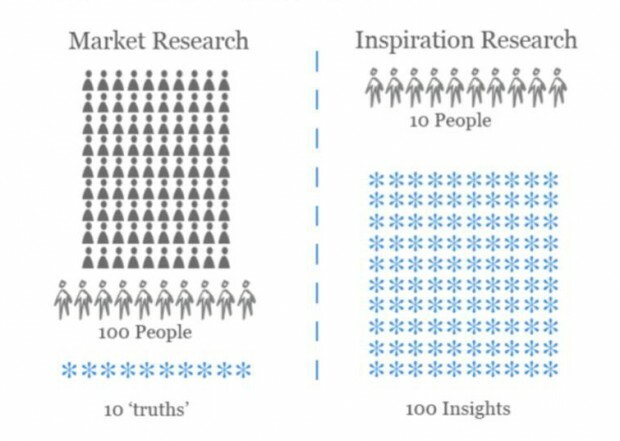 Our user research approach, which Alex describes in more detail in his blog, yielded a huge number of insights despite the relatively small sample size. Below are the key insights we learned from the families and professionals we interviewed and the three main conclusions we came to from all the initial insight we gathered. Scans only indicator of reality of pregnancy. Families need more opportunities to make it real – see and understand future. There needs to be authenticity and authority; for self belief, engagement with people, information and the NHS. Sometimes it’s not about the baby, but wider issues eg. family context, housing, addiction etc. 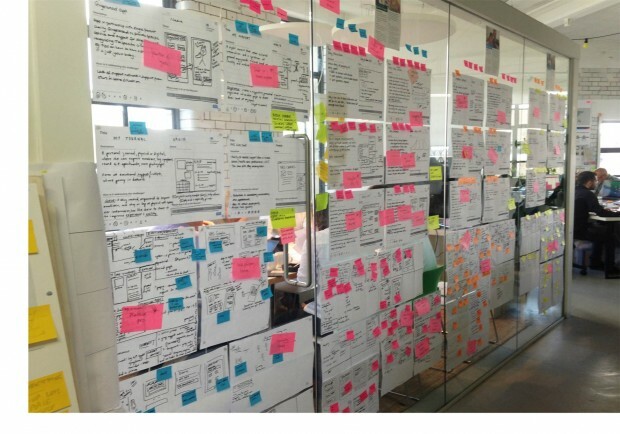 How can NHS integrate better with other services. Trust is integral to the success of every interaction along the lifecycle, the journey, of having a child. It is the foundation upon which a smooth experience is based. Make this a core mission of the service. Allow it to become the driving force and principle for how decisions are made. If trust can become a product of all activities in this transition, it will provide a solid base from which everything else can grow. There is a discrepancy between health professionals and families view of what the lifecycle ‘is’ in terms of having a baby and in terms of the services provided. Align these differing perspectives, so that there is a shared view of the process, the timeliness, and what and how is provided. The health service is based on a legacy of excellence, but it now exists within a fast moving world where behaviours and expectations of families have evolved as they engage with increasingly sophisticated service organisations, and come to pregnancy with a range of personal histories and contexts. To acknowledge and support the myriad of family values, needs and behaviours to create both a better experience for them, and in turn higher performing families for the health service. Once we’d crunched through all the insights from the research, we ran a number of design workshops to develop tools and models that would help us in our prototyping. 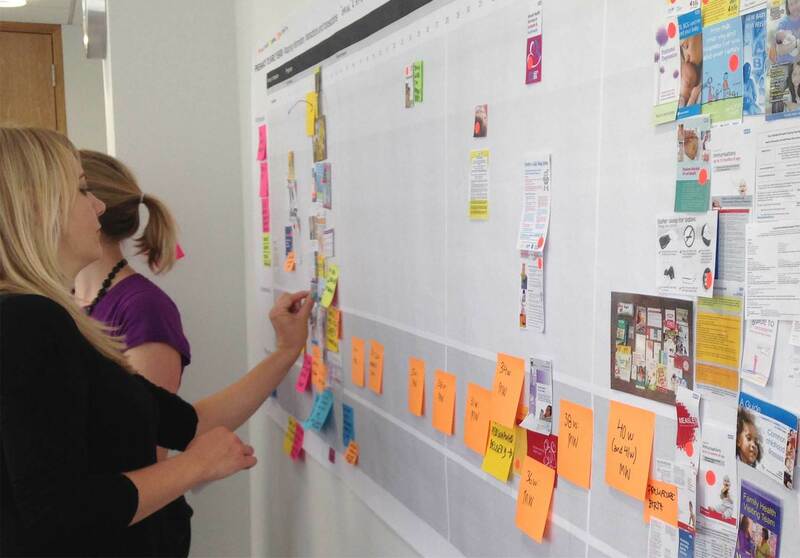 We produced an enormous information map (literally, 6 feet long), a variation on the customer journey mapping we did during the interviews. This helped us to establish an ‘official’ view of what information is shared and when, against the experience of our research participants, to identify opportunities for improvement. We also developed a number of personas and using all these tools created 21 potential concepts for prototyping. We then whittled these 21 concepts down to 12 which we felt had the most potential and worked these up to a stage where we could present them to our project Steering Group. The project Steering Group, which comprises senior leaders from both maternity and digital disciplines, from Department of Health, Public Health England, NHS England, Royal College of Midwives, Royal College of Obstetricians and Gynaecologists, Royal College of Paediatrics and Child Health and the Government Digital Service, met on the 17th September and chose 3 concepts (from the 12) for us to develop into early prototypes for wider feedback. We’ve just finished working on the early prototypes and have started sharing these with the families, health visitors and midwives who took part in the initial research and others who have expressed an interest in the project. A number of telephone and face-to-face research interviews are also taking place this week. The point of the exercise is to learn in more detail what would be useful to mothers and clinicians which we will feed into the NHS Maternity Review.